A metal roof will ensure your family’s safety for many years without the need for costly maintenance. This green product is also safe for the environment. With new designs, colors, and finishes out there in the market, you should certainly opt for such a roof for safety and durability. At present, metal roofing materials are being used in huge number than other materials because these can be used for several purposes. Metal roofs are used both to construct new homes and to repair the old ones properly. If you can install perfectly availing experienced metal roofing services, they last for a long time than its contenders. Moreover, with a variety of options being available metal roofing is good to use both at residential and commercial places. Here are some of the benefit you will get when you hire Beneficial Roofing company which is located in Murfreesboro, TN it is a company that has been in business for a long time and therefore has a track record of providing quality services. You don’t need to opt for frequent roof repair services while using the metal roofing materials because they are environment-friendly. To install the metal roofs you do not need to use wood, and thus here you get the option to save a few bucks from installation cost. Well, this is not enough to decide that metal roofing is better than other roofing services available. However, if you read about the other benefits in detail, you may consider it as the best. Staying in a region where ice forms easily mean you need more protection from cold and here in Murfreesboro, TN you may find it important to avail professional metal roofing services from Beneficial Roofing. This is because the metal used for roofing here work as perfect snow guard and you don’t need to use other protective options. These roofing materials protect gutters and other parts of the roof from easy damaging preventing the hazardous air. Moreover, these can be used to prevent accidental injuries as well. These roofing materials are available in varied sizes and shapes and thus that allow ice to pass over its surface without staging there. Uses of metal roofing material also increase the gross value of your property. These aesthetically designed materials add more beauty and appeal to a house and coins appreciation from a visitor easily. 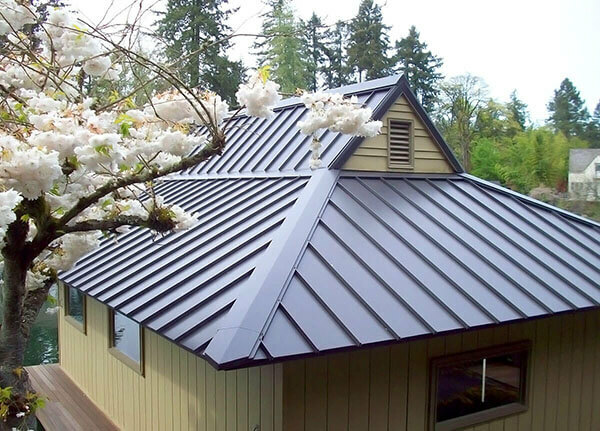 If you want to save from insurance costs, then also you will like using the metal roofing materials because these have earned the highest fire rating level. Moreover, installing solar electric or solar thermal energy solution over a metal roof is quite easier. That is why the overall value of the property increases gradually when you use these roofing materials. Considering the safety factor related to metal roofing materials you would prefer our metal roofing services to anything else. Both metal roofing and the devices used for fitting the roof are always safe to use, as these don’t pose any health risk. Moreover, being noncombustible these materials offer more protection from fire. However, it is better that you choose some other metal than asbestos because this material is now being considered as dangerous. call us today! We will make sure to give you the best roofing services in the market.